Whether you want to buy the hottest sneakers on the market or to compare prices from the most trustworthy sneaker sellers in the world, our Shopping App of the Week will definitely give you a hand. We’re talking about Suplexed, one of the best cross-platform apps that provides with accurate real time shopping information. 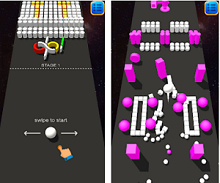 What is Suplexed all about? Suplexed as the shopping app for all sneakers lovers is offering its users to easily browse the market place, stores and verified sellers of sneakers, to get all the information needed in order to find the hottest sneakers on the market and the best prices for them. 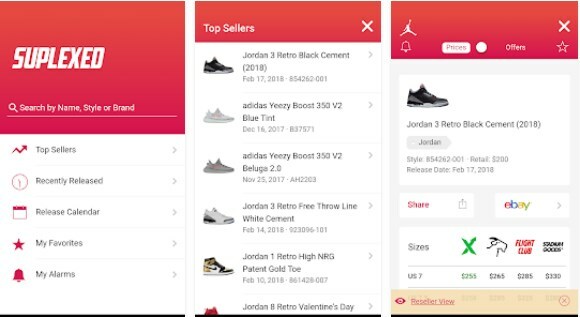 Developed for android and IOS users, with the help of this app users are getting accurate real time info that will help them become the most informed seller or buyer of sneakers. Users on the app will learn about every upcoming release of sneakers, which are the most popular sneakers and easily find the sneakers they are looking for and the best place to purchase those sneakers. The app’s useful features will help users with comparing prices of the top sellers and marketplaces for buying sneakers and help sellers find the best places which with maximum return for their sneakers selling. On this app, users do not have to waste time making offers they can just set their suitable price alerts and be notified when the sneakers they liked moved to the price they can pay. Sellers of sneakers can use the app too for setting price alerts and get notifications when someone wants to pay that price and buys their sneakers. This app and the data offered on it can be shared by users on social media if they only want to let others know which sneakers they like or to help them to save money by using this app. Also, users share charts, data, web links or other time stamped information about the sneakers and their market. With the reseller features users can save time with using the app to align fee structures to get info about the pay-out after the fees. Users can also learn about sneakers upcoming release before they even appear on the market while using the app’s promotions and giveaways, keeping all users satisfied. Download it for free on Google Play and App Store to get all info needed about the sneakers market!